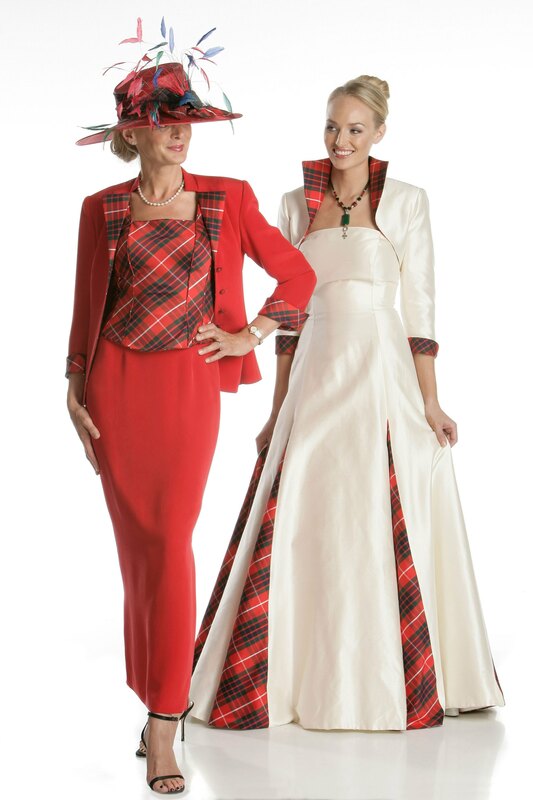 Skye, Silk Jacket Skirt and Bodice with tartan contrast is a sophisticated and elegant softly tailored mother of the bride/groom outfit. It comes in a variety of colours and choice of tartan. Size isn’t a problem as we make to measure ensuring the perfect fit.